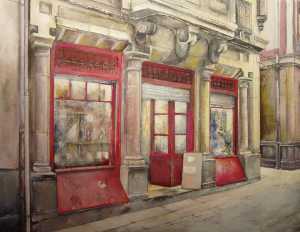 Their work is characterized by a serene and poetic realism that he translates the artist's delight in the representation of streets, buildings and facades with antiquity. Their squares catch the magic of the aesthetics of the old thing, and they not transmit the whole warmth and humanity of the atmospheres transformed by the current life. Tomas Castaño was born in Santander (Spain) in 1953. From a young age shows a special inclination towards drawing, but until the age of 17 years he does not take the first brushes and start painting. Self-taught, Tomas carved himself, based on determination and enthusiasm. He has a realistic style, his paintings are very well drawn and he also worries for the composition and perspective of his works. 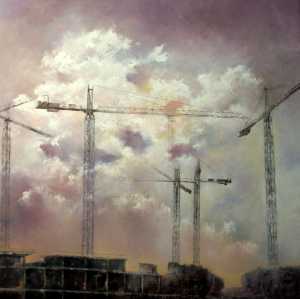 He is a landscape artist but characterized by his architectural work. 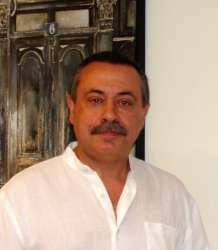 His work is characterized by a serene and poetic realism, which translates the artist's delight when he paints streets of old quarters, antique buildings and facades with tradition. His paintings catch the magic of the aesthetics of the antiques, and transmit all the warmth and humanization of unprocessed environments by modern life. He has shown his work in group exhibitions in several countries such as Germany, Netherlands, USA, France, Argentina, Japan, Italy, Korea and numerous solo and group exhibitions in Spain. 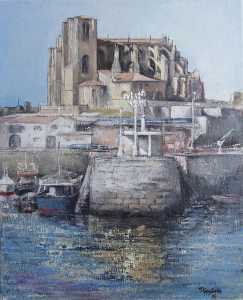 Tomas Castaño works represented Cantabria in the Florence Biennale in the 2005 edition. 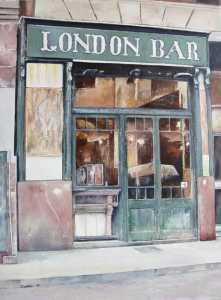 His work is recognized by the distinctive style and ambience that he creates in finishing his series of old taverns. His work is in the following public collections. Hotel Palacio de Mar, Santander, Spain. Villanueva de Villaescusa City Townhall, Villanueva de Villaescusa, Spain. 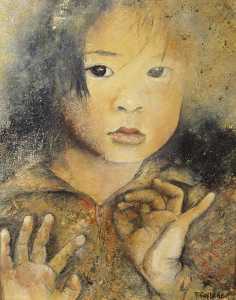 His works are in private collections of Spain, France, Puerto Rico, USA, Costa Rica and Korea. In 2012 he was invited by The General Electric Company, USA to take part of the exhibition GE's 2012 Hispanic Heritage Month Art Exhibition. EX-POSITION 2013 -Maia- PORTO (Portugal). ADOLFO DOMÍNGUEZ Foundation - colectiva “La Ciudad”- Madrid, Spain. DEARTE – Medinacelli – Soria, Spain. Plural Out Project - Vila Nova de Cerveira (Portugal). Vivearte 2013 – Art Gallery María Nieves Martín-Villafranca de los Barros-Badajoz, Spain.Ibero American Contemporary Art-Ara Art- Seoul-Korea. Ibero-American Art Fair - Hamgaram Art Museum - Seoul, Korea. EMMA Art Gallery -“Paisajes Urbanos” Tomás Castaño and Emilio Sotomayor, Madrid, Spain. V Ruta de l'ART - Castelló d'Empuries (Girona) Spain. 19ème Salon des Arts Visuels de Poitiers – France. GE's 2012 Hispanic Heritage Month Art Exhibition. Fairfield, Ct (USA). KONTRASTE Art Gallery - Westfalia (Erwitte-Horn)-Germany. Colectiva "Bienvenidos" - Goyart Art Gallery – Madrid, Spain. Colorida Gallery – Lisboa, Portugal. Este Art Gallery – Santander, Spain. 2ª Mostra de Porto, Porto – Portugal. Second Festival Internacional D'Art de " Hauts Du Val de Saône" France. Cultural ADOLFO DOMINGUEZ Zaragoza, Spain. Goyart Art Gallery Madrid, Spain. NADAL D'ART Nuriart Art Gallery- Alcanar – Tarragona, Spain. Feria Internazionale de Agrigento / Sicilia, Italy. Palazio de Villa Barile Caltanisstta / Sicilia.Italy. Colectiva GOYART -AAPGA – Zaragoza, Spain. Obras seleccionadas Premio ciudad de Palencia- Fundación Díaz Caneja, Palencia, Spain. AEDAL Art Space, Valencia, Spain. 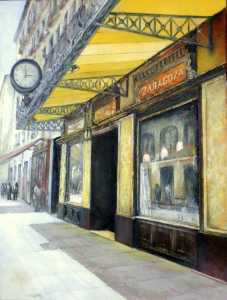 Este Art Gallery “Pequeñas Joyas del Realismo”	, Santander, Spain. De Cal y Canto-Homage to Rafael Alberti-Cultural Center Alcazaba. Mérida, Spain. XVII Salón Visual de las Artes- Poitiers, France. San Antón Art Gallery- Pamplona, Spain. Kromatikamente Parlando Forte Michelangelo di Civitavecchia- Roma, Italy. 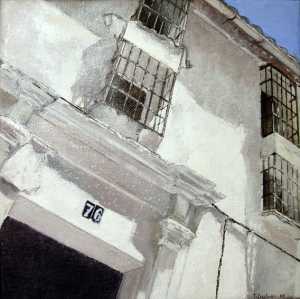 Castellón en Arte – Castellón de la Plana, Spain. 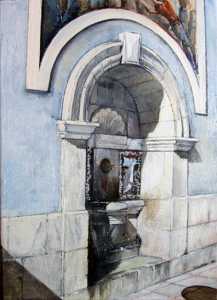 De Cal y Canto – Homage to Rafael Alberti – Ateneo de Cáceres, Cáceres, Spain. ARTEXPO NEW YORK, New York. USA. Colectiva 20x20 Este Art Gallery, Santander, Spain. 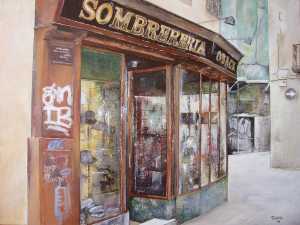 Hesperia-Pomezia Gallery – Roma, Italy. Art Vs Walls – Berlin, Germany. Art22 Girona Art Gallery, Girona, Spain. beART/CABE – Monzón Huesca, Spain. Colectiva de invierno Este Art Gallery-Santander, Spain. II Art Fair ARTZ – Zaragoza, Spain. Wineries Fariña-Toro (Zamora) – Obras seleccionadas III Certamen “El primero del Año”, Zamora, Spain. 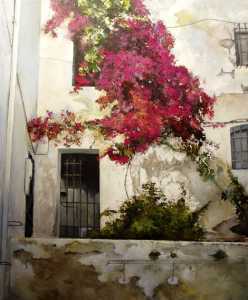 Art Gallery San Vicente-S.Vicente del Raspeig (Alicante), Spain. ALTEA Art Gallery- Madrid, Spain. Feria Internazionale di Arte Agrigento, Sicily, Italy. 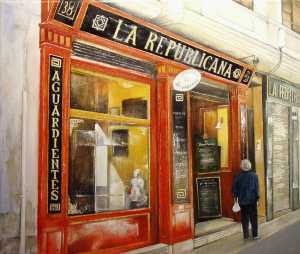 1 Meeting of Realistic painting – Gélida , Barcelona, Spain. MARZIART Art Gallery – HAMBURG, Germany. PADEQUART Art Gallery-RIBES DE FRESER , Girona, Spain. SHARON Art Gallery- León, Spain. SALVI ARTE Gallery-Gijón , Spain. Madrid Independent Art Fair, Madrid, Spain. Sala Castro Cultural Center La Residencia-Castro Urdiales, Spain. II Contemporary Art Fair of Arevalo, Avila, Spain. Aires Art Gallery, Córdoba, Spain. 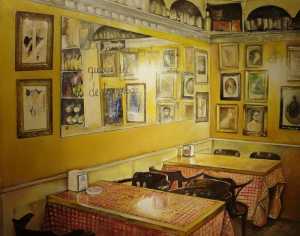 L’Atelier Art Gallery, -Olot , Girona, Spain. 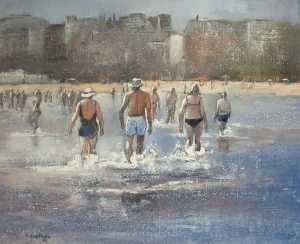 Santiago Casar Art Gallery-Santander, Spain. III Salón Internacional ACEA`S, Barcelona, Spain. I Contemporary Art Fair of Arevalo, Avila, Spain. 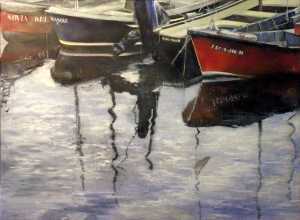 2011 Finalist work Prize Ciudad de Palencia of Artistic Creation.